The move comes as regulatory hearings in Maine and Massachusetts are ramping up, and as opposition may be growing more organized. John Carroll, a project spokesperson for CMP's parent company, Avangrid, says it is responding to concerns about whether the project's ownership structure should be changed to better protect customers in Maine, in the event the project suffers a financial setback. Carroll acknowledges that by opening such discussions, more questions could be asked. Renewable energy developers, for instance, say that CMP should build a line that would be more affordable for wind or solar projects to tap into. 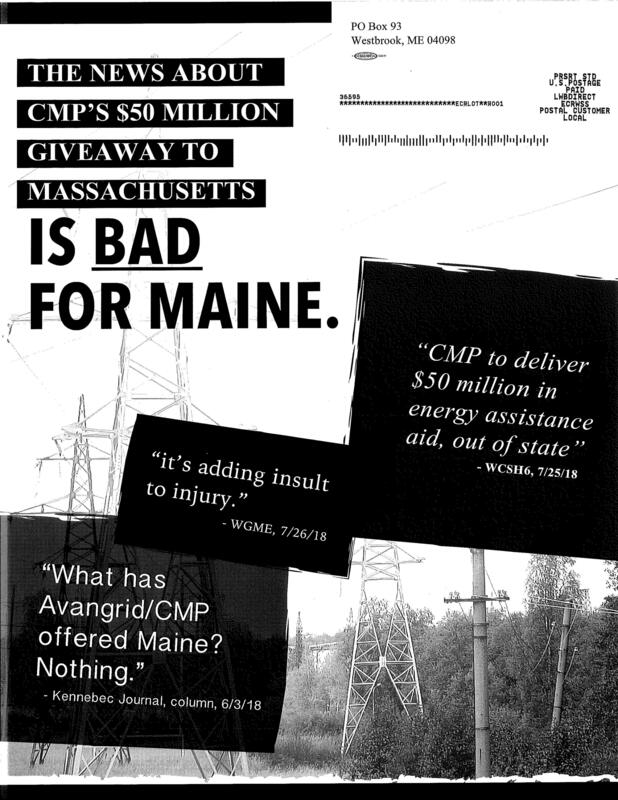 Maine’s Public Advocate, Barry Hobbins, has called on CMP to provide Maine consumers with benefits, at least as valuable as the $50 million it would provide to low-income consumers in Massachusetts. “Presumably people would bring that up, yup," says Hobbins. The Commission will start full-fledged hearings later this month, as will the Department of Environmental Protection. Pre-hearing meetings are underway currently, and opponents are gearing up for a fight. "To feel as though this project was getting fast-tracked with not a lot of PR, I thought was a problem,” says Sandra Howard, a Maine native and New Hampshire educator. The group has sent mass mailings to state residents calling on them to oppose the project. Howard is also a guide for one of the many rafting companies that sends thrill-seeking tourists down the rapids of the Kennebec Gorge, where CMP wants the new transmission line to cross the gorge. She has started a Facebook page "Say NO to the Corridor," and she is organizing a press conference and rally in Augusta this week. "The first impact I saw was the Gorge,” Howard says. “But then I quickly learned it was much more than that, especially with 53-and-a- half miles of brand new corridor going through Beattie Township to the West Forks." Opponents now working together include Howard and environmental groups that say the project will unduly harm ecosystems in western Maine, including the Natural Resources Council of Maine and Trout Unlimited. There are generation companies — both renewable and fossil fuel — worried that they will lose money if Hydro Quebec sends a massive amount of electricity into the regional system. 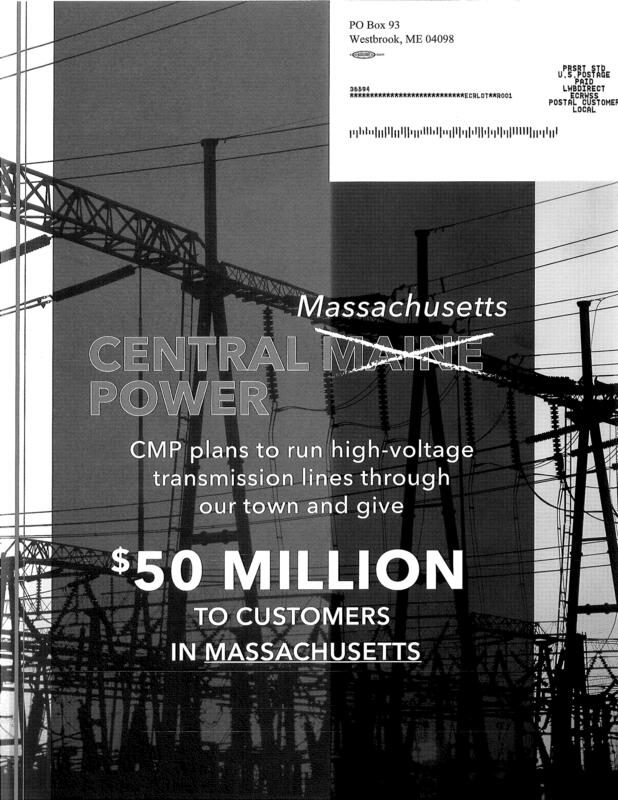 Also entering the fray is a group of CMP customers that has filed suit over claims of billing overcharges. There are some less obvious opponents too — a group of boosters for Route 201, recognized by the Federal Highway Administration as the Old Canada Road Scenic Byway, for instance. "I am not happy about it, and I will absolutely, vehemently fight this thing until the very end,” Jacob says. “I'm doing this for my kids." 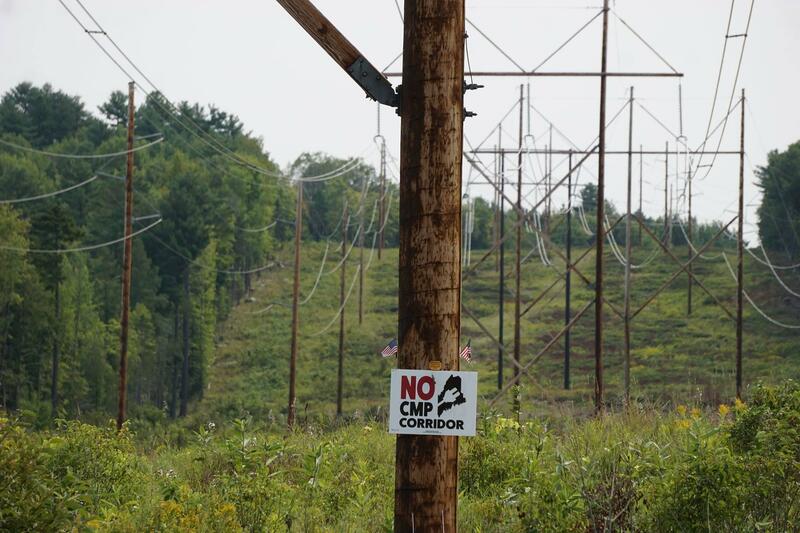 Jacob is president of the Upper Enchanted Road Association, and he is one of dozens of camp owners in the townships of western Maine who would find their views — and local natural resources — cut through by the transmission line and its 100-foot towers. He has traveled to regulatory meetings on the project in Massachusetts and Maine, and he's posted a youtube video of the area that's making the rounds among project opponents. Jacob says that while CMP did good legwork to round up support from local officials, he is still hopeful about the state-level permitting processes. "There are a lot of hurdles that they have to get through, and they're not that easy,” Jacob says. “And it is not a done deal. So at this point, I feel more encouraged than I did a month ago that this could be stopped." One other group that's emerged to oppose the project is keeping a lower profile. It's called "Stop the Corridor." The group has sent mass mailings to state residents calling on them to oppose the project. This piece will be updated.